Recently, we went to a friend’s kid’s birthday party at a bowling alley. Of course, I had to bowl, too. In the lane next to me was a boy named Brody. He had a tiny, wiry frame and thick, black glasses. When we went for the same ball, he spoke to me but I wasn’t sure what he said. I asked him to tell me again and he repeated himself but I still didn’t get it. His mother who was standing behind him came over and told me it was okay if I didn’t understand him. She helped him get his ball and guided him back to the bowling ramp. The kid was a machine. He bowled ball after ball, sending one down the lane and then excitedly waiting for it to return up the chute. It was always the same pearl-colored ball, the same adjustment of the ramp, and the same smile. 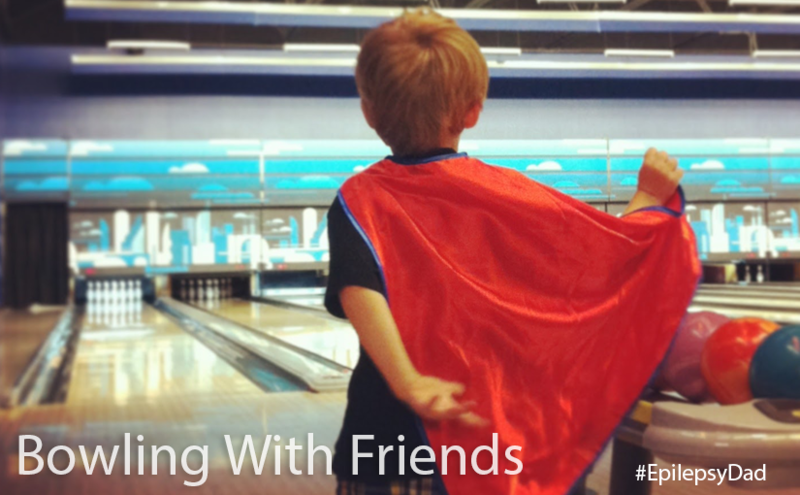 When the pizza arrived and the other kids sat down to eat, Brody kept bowling. His mother would stick a piece of pizza in front of his face, he’d take a bite, then put his ball up on the ramp. It was like watching an endurance athlete compete with a trainer by his side giving him fuel. For the next hour, Brody and I bowled side by side. We cheered each other on and after almost every ball we’d share a one-liner. I’d say “So close!” “Great ball!” “You’ll get it next time!”. He’d tell me to throw the ball fast again and “wow!” if the pins made a lot of noise and bounced around in the pit. At one point, Brody sent the ball straight down the middle of the lane. “That’s a good ball, buddy! Good ball!” I exclaimed. The ball pushed through all the pins leaving none standing. He looked at me with a look of such joy and I had the biggest smile on my face. Then he started dancing. Forget end zone celebrations from athletes that do them all the time. There is nothing like watching a kid who accomplished something own it with dance moves. At the end of the party, I told Brody how much fun it was to bowl with him. He reached over, smiled, and tickled me. I smiled back and went to change my shoes. Brody picked up his ball and carried it to the ramp. As I sat swapping one pair of stylish kicks for another, I noticed my wife talking to Brody’s mom. I didn’t think anything of it then. But as we headed out the door, Brody’s mom came over and gave me a big hug. My wife told me after we left how much the way that I treated Brody had meant to his mom. She told my wife that my son saw I how I treated Brody, so he will learn to treat people the same way. It broke my heart. All I did was treat Brody like the kid that he is, and that was enough to cause a reaction in his mother. Because, for whatever reason, the default from people is to not treat him that way. It made me think about how people treat my son. Most of the time, he looks like a normal kid and his seizures happen inside our bubble at home. But there are differences that kids do notice and that they already question. Why does his lunch look different from ours? Why can’t he eat the birthday cake? Why does he have an aide to help him in school? Why does he leave early or why is he absent so much? Right now, these questions come from curiosity. But I’m afraid that the day is coming when those around him will turn those questions into ammunition. We have lost our tolerance for people and things that are different. But the response should not be apologies and isolation. It should be inclusion and acceptance. I’m trying to show my son how to treat other people with kindness and respect so that he will do the same and expect the same in return. I’m trying to raise a resilient kid that won’t let labels slung in fear or ignorance define him. I want him to understand that everyone has their stuff. But if we make an effort to get through that stuff, we can find a person worth knowing, just like he is worth knowing. And like Brody is worth knowing. And, sometimes, we get to make new friends and, if we’re lucky, we get to see the magic of a smile or a celebration dance. And, sometimes, that effort and that magic will affect the other people around us, too. 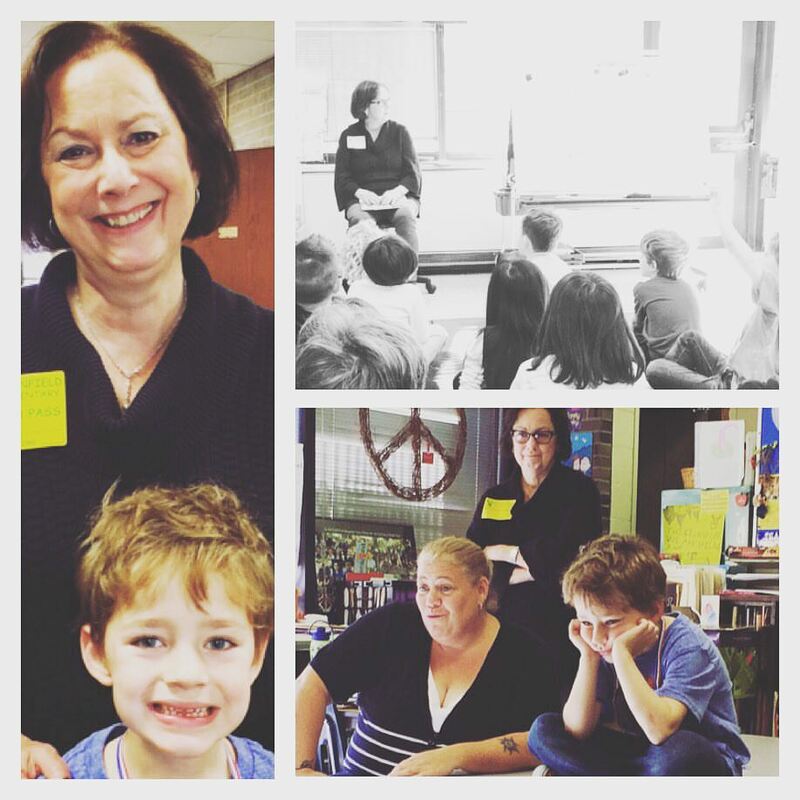 A few weeks ago, a representative from the Epilepsy Foundation visited my son’s kindergarten class to talk to them about epilepsy. When the school year started, my wife and I had a conversation with my son’s teacher, setting expectations and filling her in on his condition. One suggestion that his teacher made was talking to the other kids about epilepsy. My wife thought it was a good idea (she knows kids way better than I do), but I was hesitant. I was worried that calling attention to his epilepsy would make my son will feel different and that talking about his epilepsy would announce to his class that something was wrong with him. I wanted to hide his epilepsy so that he could just be a kindergartener, and make friends, and just be a normal kid. Subconsciously, maybe I felt that if we didn’t talk about epilepsy that it would somehow magically go away. I was traveling for work so I wasn’t able to be in class when the coordinator talked to the kids. But on the other side of the country, the fallout that I dreaded from exposing my son’s not-so-secret never came. My wife told me that my son sat up in front of the class, in full view of his peers, as they asked simple, fundamental questions that my son helped answer. Why doesn’t he always eat lunch? Why does he leave early? Do seizures hurt? Can I catch epilepsy from him? And then that was it. After they were done asking questions, they went back to their school day. They didn’t treat my son any differently and, perhaps, they had a better understanding of the situation because they got answers to those questions that they didn’t know they could ask. I know that not every conversation about epilepsy is going to be that easy. There will be people that are curious, or confused, or unaware of his condition. There will be bullies that will use my son’s condition as ammunition to attack him. But the answer isn’t to hide it away and pretend it’s not there, it’s to talk about it, to help people around him understand, and to help him feel confident in himself. Hiding bring shame, and the last thing I want is for him to be ashamed of anything about himself. 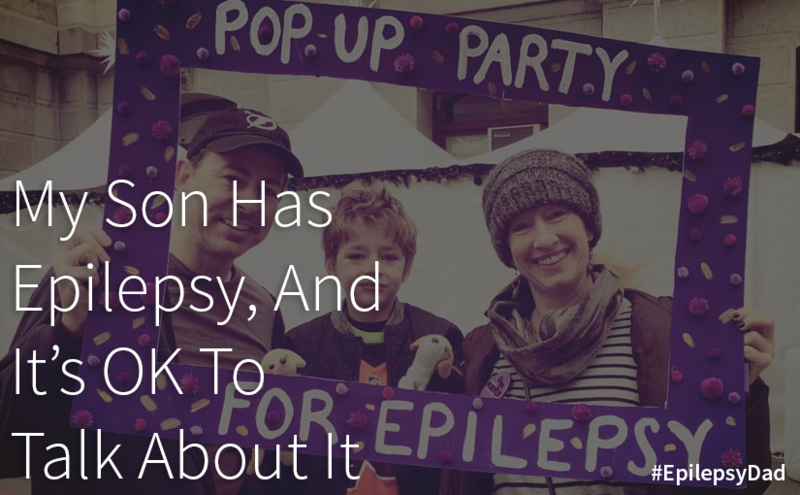 Not talking about epilepsy isn’t going to make it go away. But maybe by talking about it, other people will be more comfortable talking about it, too. Then it becomes a conversation and, through conversation, we can have understanding and compassion.